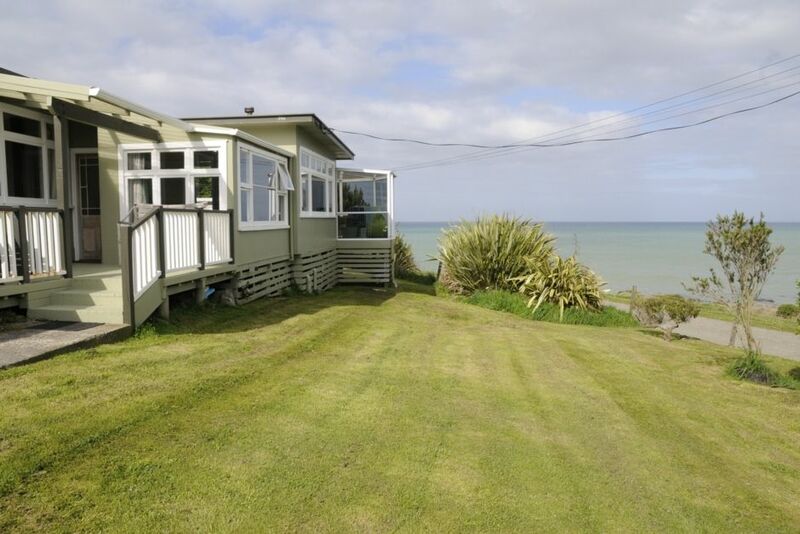 Relax at the edge of the sea in beautiful Kakanui. Overlooking Campbells Bay with sea views from every room, we offer a comfortable and cosy experience. With therapeutic sounds of the beach within walking distance, and historic Oamaru only 14kms away, you can enjoy a bit of both worlds. A 1970s crib that has been extended over time, resulting in a quirky layout with three interconnected bedrooms, most suitable for families or close friends. The living spaces have been recently repainted, and the bedrooms are in the process of being refreshed. This is a beautiful, relaxing location where you can sit back and listen to the waves crash against the beach. My friend and I enjoyed our time spent here away from town, walking the beach at All Day Bay, and enjoying the view. It's a short drive to Oamaru, and the Morekai Boulders as well as a few other attractions. The kitchen is well stocked will all the dishes and utensils you should need. I would stay again. Heating, electric blankets, the greatest seaview for switching off from the rat race. Great base for day trip to Albatrosses at Dunedin, Oamaru, saw Spoonbills nearby and ate at Hampden Fish & Chips nr Moeraki boulders & Fleurs Place. Caught an elephant fish with a surf caster & saw seals & sealions. Big Thank you. The absolutely best is the amazing view! Second best the lots of space with a view even when it is rainy. It was a pity that we had only the time for just one night. Kakanui is a magic spot. Great for relaxing and winding down. The house was great and reminded me of the family crib at the sea. It had everything we needed for a comfy stay. The house was warm and sunny. Melissa was easy to deal with and very helpful. Kitchen had most of what you need for a family. Would recommend this spot if you want to wind down relax and enjoy the beach. We so enjoyed our time at Kakanui. The house has the most wonderful spot, looking out over the sea. The house is lovely and warm and had everything we needed - even some herbs in the garden!. The wifi was a little unreliable, not that it was an issue for us. Thank you for making your house so welcoming.